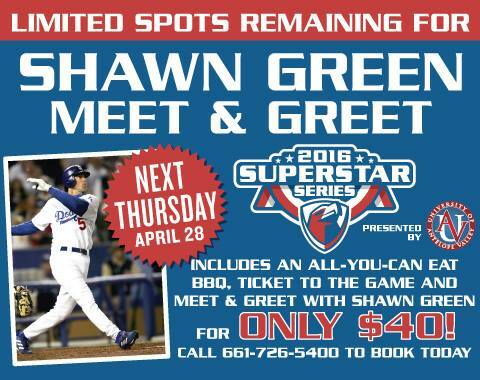 This is a very busy Thursday for autograph collectors. 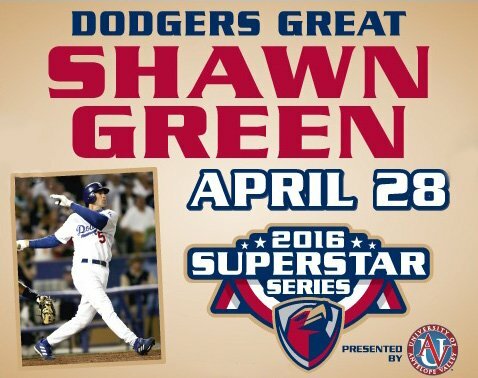 Shawn Green will be visiting the Lancaster Jethawks on Thursday, April 28th and will be signing autographs for fans. Go here for information. 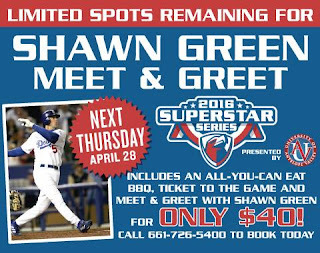 The game begins at 6:30 PM and he'll be signing until 8:00 PM. BTW, a special VIP session is available. 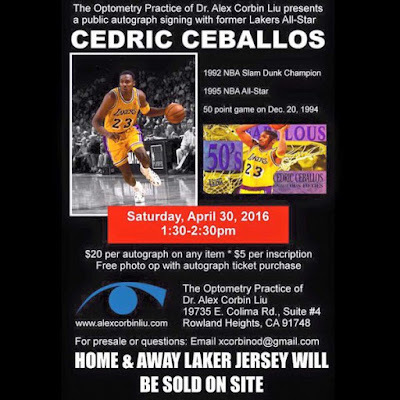 Check out the flyer below. Also on Thursday, April 28th will be former Angel pitcher Ken Forsch at the Inland Empire 66ers game in San Bernardino. Go here for information. 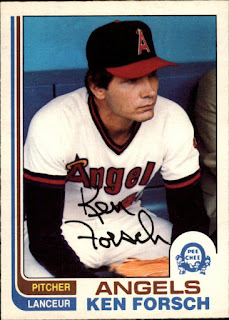 He should be signing throughout the game. 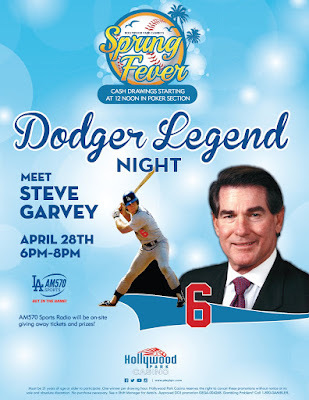 Then, at the Hollywood Park Casino in Inglewood will be Steve Garvey to sign for fans. 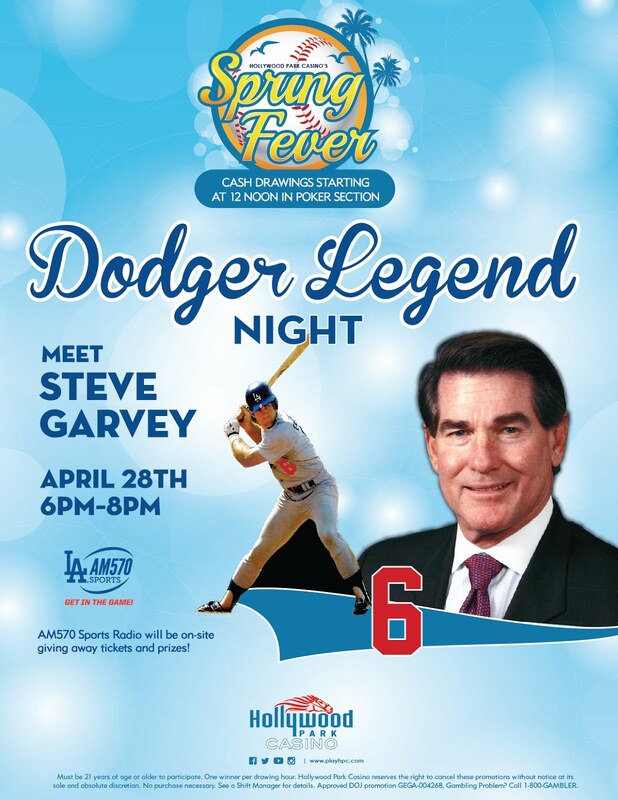 He'll be there on Thursday, April 28th from 6:00 PM – 8:00 PM. 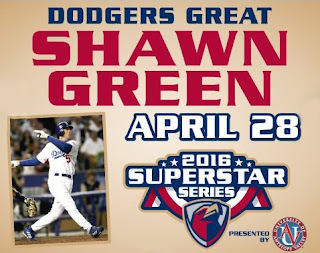 Go here or here for information. 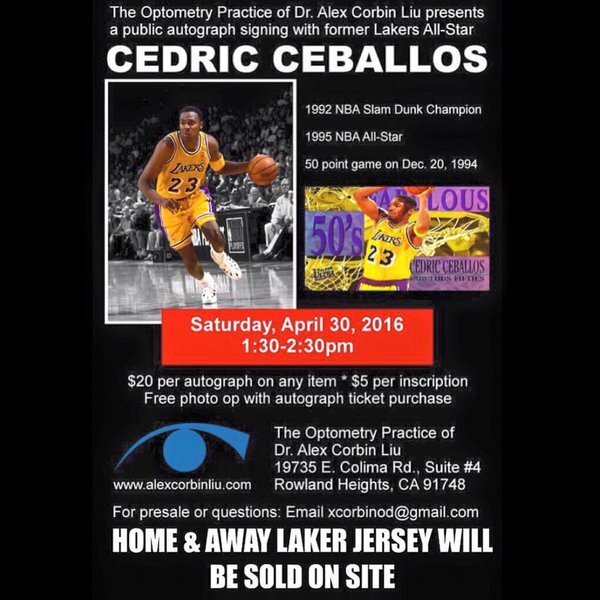 On Saturday, April 30th Lakers forward Cedric Ceballos will be signing. Go here for information.